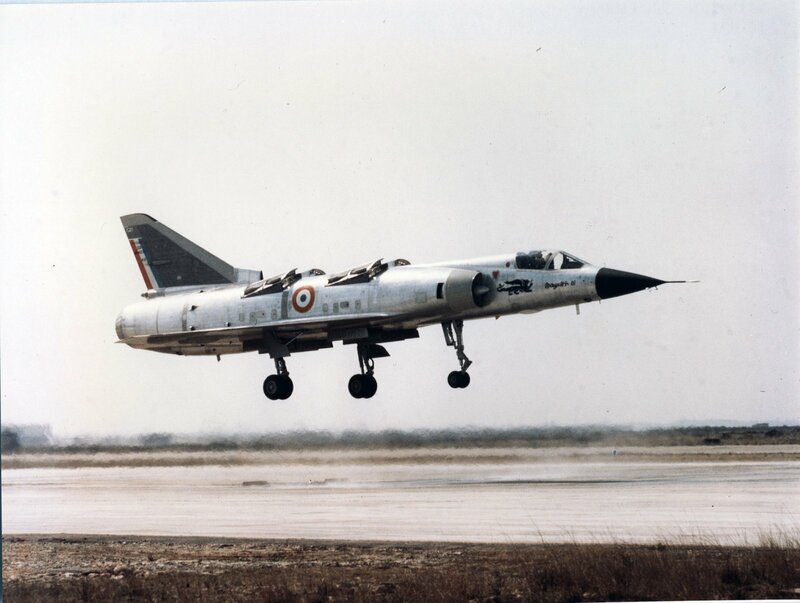 On August 29, 1961, the DTIA ordered the design and development of two Mirage III V vertical take-off prototypes to be produced conjointly by Dassault Aviation and Sud-Aviation. The Mirage III V, a Mach 2 aircraft heavier than the Balzac, prefigured the operational version. It had eight Rolls-Royce RB 162-1 lift jets and a Snecma TF 106 with afterburner, the French version of the Pratt&Whitney JTF 10 turbofan. 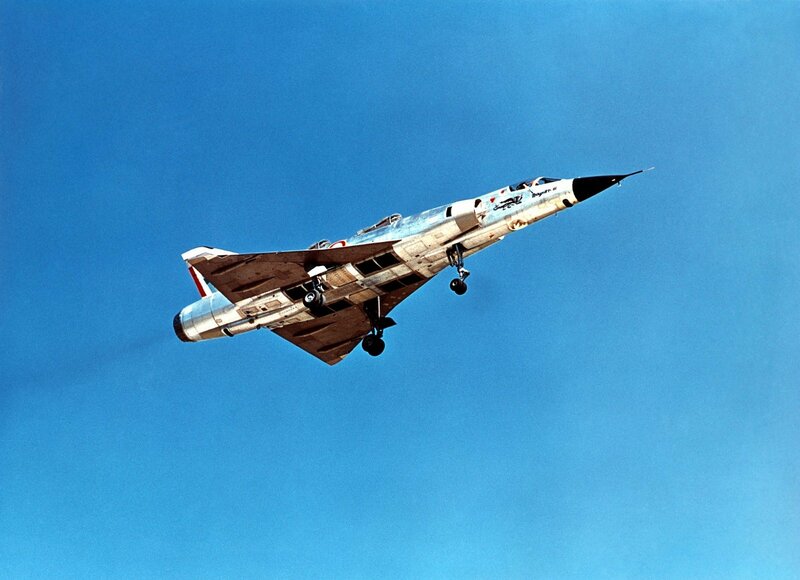 Mirage III V 01, equipped with a TF 104 b turbofan (63.7 kN of thrust with reheat) made its first stationary flight at Melun-Villaroche on February 12, 1965, piloted by René Bigand. A new version of the engine, the TF 106 A3, was mounted in December 19685, for the 15th sortie. The authorities realized that the chosen configuration was more complex and cumbersome than they had expected. At the end of 1965, the Air Force general staff drew up operational requirements for a Mirage III V called 1970 as they foresaw the need by 1970 for a nuclear vehicle to replace the tactical air units’ F 100s and Mirage III Es in cas of a hostile first strike. The aircraft’s first transition from stationary to horizontal flight was made by Jean-Marie Saget on March 24, 1966. Disappointingly, the lateral behavior of the aircraft during the transition phase proved more problematic than on the Balzac. On March 28, 1966, for technical and financial reasons, the Defense Ministry halted the production program, though allowing tests to continue. In June of 1966 NATO in turn abandoned its vertical take-off supersonic aircraft program. Mirage III V 02 fitted with a Snecma TF 306 turbofan made its first flight on June 22, 1966 piloted by Jean-Marie Saget. It was equipped with new air intakes over the lift jets. During its 11th sortie on September 12 it reached Mach 2.03 in level flight. It is the only VTOL aircraft in the world to have broken Mach 2. But on November 28, 1966, at Istres, it was accidentally destroyed during crabbing flight tests, and the program was definitely abandoned.